Saw this on reddit: Happy Birthday to the greatest athlete of all time! omfg he can speak english!!! Imgur is blocked at work so I had no idea what you were talking about until I looked it up. I have almost no memory of these games, other than that they existed. I USED TO PLAY THIS ALL THE TIME!!! 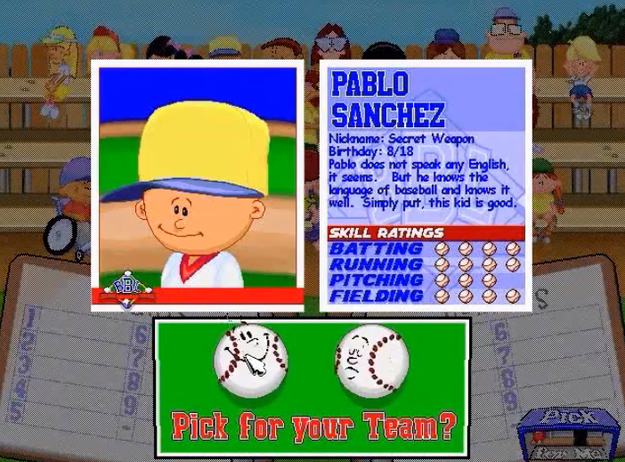 Everyone knows Pablo was the best player. I always chose the girl with the tutu.. can't remember her name. I also played the football version. Pablo is the clear cut G.O.A.T.